But state Republican Party chair Caleb Heimlich suggested Democrats may be counting their chickens too soon and predicted Republicans will hold on to all three of the contested House seats. Washington’s primary-election results leave no doubt that Republicans here will be playing defense in the 2018 congressional midterms. 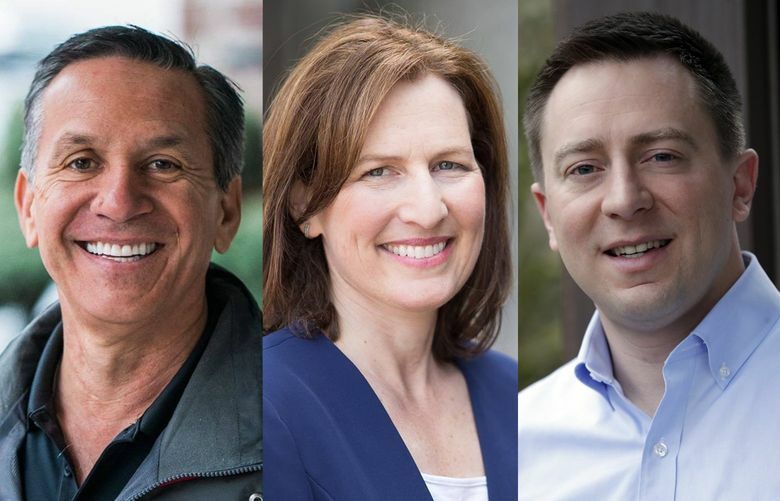 Democrats are crowing about potentially flipping three of the state’s 10 U.S. House seats — which would leave Republicans with just one — after subpar primary showings for GOP incumbents and contenders. National political analysts Wednesday downgraded Republican odds in some of the races, while leaders of both parties predicted increased attention to Washington this fall in the fight for control of the U.S. House. With big-money political-action committees already setting up shop for both parties, voters from Auburn to Spokane and Vancouver can expect a barrage of negative ads over the next three months in an election that will serve, in large part, as a referendum on President Donald Trump. Gov. Jay Inslee sounded bullish about his party’s prospects, which also extend to the state Legislature as Democrats eye substantial gains to their majorities after broadly outperforming Republicans in the primary — even in some conservative areas of the state. But state Republican Party chair Caleb Heimlich suggested Democrats may be counting their chickens too soon and predicted Republicans will hold on to all three of the contested U.S. House seats. “Right now, we have seen the very motivated Democratic base having their voice heard,” Heimlich said. But he said that picture will change as a broader cross-section of people participate in the fall election. 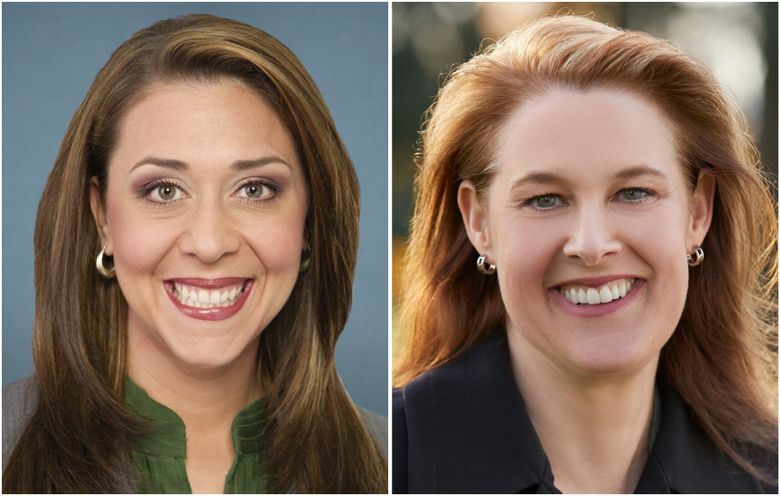 In congressional races, perhaps the biggest surprise Tuesday came in southwest Washington, where Rep. Jaime Herrera Beutler, seeking a fifth term, took 41 percent of the vote as of Wednesday. Her top Democratic challenger, political-science professor Carolyn Long, was at about 36 percent. State Democratic Party chair Tina Podlodowski said the 3rd District had been “our sleeper race all year.” With Long’s primary showing, she predicted an avalanche of money pouring into the race. “I think it will get nasty,” she said. Long, whose academic work has included studying political polarization, said she’d campaigned to show voters she’d be an accessible representative, hosting more than 30 live town halls, while Herrera Beutler has not held any since last year. “The voters smell it. Jaime’s a career politician,” she said. Angeline Riesterer, a spokeswoman for Herrera Beutler’s campaign, dismissed Long’s criticisms. “Jaime meets with thousands of Southwest Washington residents in dozens of different ways, including town halls, telephone town halls, one-on-one meetings, roundtables and more,” she said in an email, also criticizing Long for moving to Vancouver from Oregon this past year. 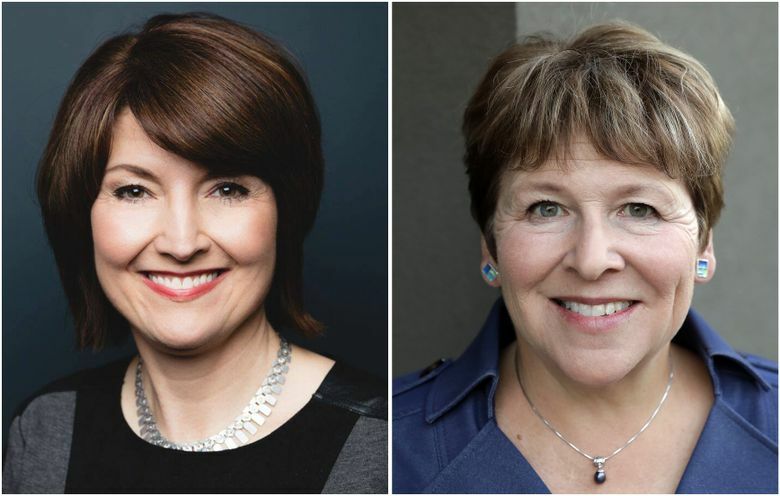 In the 5th Congressional District, seven-term incumbent Rep. Cathy McMorris Rodgers, R-Spokane, the fourth-ranking Republican in the House, was running just ahead of Democratic challenger Lisa Brown, with about 48 percent of the vote to Brown’s 47 percent. That contest was shifted by the University of Virginia’s Center on Politics from “leans Republican” to “tossup” Wednesday. In the 8th Congressional District, which had previously been rated a tossup by several political analysts, former Republican state Sen. Dino Rossi was at just under 43 percent of the primary vote in a district that has never elected a Democrat to Congress. His fall opponent remains unknown, with pediatrician Kim Schrier and attorney Jason Rittereiser vying to advance past the primary. As of Wednesday evening, Schrier had about 19 percent of the vote, while Rittereiser was at nearly 18 percent — trailing by about 1,500 votes. None of the state’s six Democratic House incumbents face apparent jeopardy from Republican challengers. Most were polling around 60 percent in the primary vote — with Rep. Pramila Jayapal, D-Seattle, setting the high mark at nearly 81 percent versus GOP challenger Craig Keller. If Democrats were to capture all three seats, it would leave Washington Republicans with just one representative in the U.S. House: Rep. Dan Newhouse, R-Sunnyside. The last time the GOP was whittled to a single House representative was 1992, when a Democratic wave spared only Republican Jennifer Dunn, who was elected in the 8th District that year. Two years later, Republicans responded with their own wave, winning seven of the state’s House seats. With the midterm elections always a referendum on the sitting president, Democrats and Republicans also are considering whether Trump will campaign in Washington state this fall — and whether his presence would benefit or hurt GOP prospects. Heimlich slammed Inslee’s tweet as part of the Democratic governor’s obsession with national politics over state issues. “He was definitely trolling. I think it’s interesting that is what Governor Inslee wants to focus on. They don’t want to talk about what their candidates will do. They want to distract … and put all the focus on one person,” he said.